Our financial math courses give you the skills and confidence you need to take your career to the next level. – Lets start with the basic idea. – This is why the discount rate is also referred to as the rate of return – the less we pay today to receive a cash flow in the future, the larger our return is. – Here’s a question for you – which is more valuable to you, $100 today or $100 in one year’s time? To help you answer this, ask yourself which of these two options you’d prefer. – From a finance theory point of view, the rationale for this is that you could take your $100 today, invest it, and receive more in the future. -Lets say you had $100 today, and you invest it for three years in a bank, receiving an interest rate of 10% every year. Interest is paid to at the end of each year, and you choose to leave this interest in the bank. -another way to think about this is, if interest rates were 10%, you wouldn’t care if you received $100 today or $133.10 in 3 years time – they both have the same value to you today. Question: If you were able to earn interest at 5% and you started with $100, how much would you have after 2 years? Rearranging this equation we can isolate a term called the discount factor. -Now let’s look at a very common application of discounted cash flows, called Net Present Value, or NPV analysis. -Managers are often required to make decisions on whether a particular project is profitable. – We can see the calculation of the year 2 discount factor. That is, 1 divided by 1 plus the discount rate of 10%, all to the power of 2. In this example, the NPV is positive at 9.77, so this project is indeed profitable. – Firstly, let’s write our required rate of return in cell B1. Remember, this is r in our discount factor formula. The number we are using is 10%. – Now we need to do the calculation for the discount factor. I’m going to link my formula with cell B1, absolutely reference this by pressing F4, then simply drag this across. The formula reads = 1/(1+$B$1)^(B3). – Calculating each cash flow’s present value is now simply a matter of multiplying the future value by the discount factor and I can calculate the NPV for this project by summing together all the present values. -If the required rate of return rises to 11%, what is the new NPV of the project? -Would you invest in this project or not? Why? – Look at what has happened to each of the present values….they have become smaller. Think about it this way – if we want to increase our required rate of return, and the future cash flows are fixed, we need to pay less for those cash flows today, that is, the present values will be smaller. Click on the attachment link entitled “NPV”. Once you’ve had a go, check your attempt with the attached “NPV solution”. -Understanding annuities is crucial for understanding loans, and investments that require or yield periodic payments. Say we had a 3 year annuity, receiving $100 starting one year from today, for each of the next 3 years. How much would we be willing to pay today to receive this annuity if interest rates were 10%? 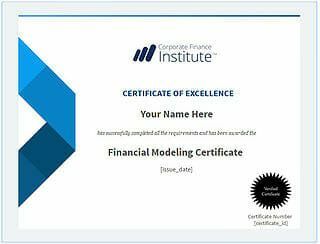 We can then easily calculate the present value of the annuity by first multiplying the future values by their discount factors, and then by adding all the present values together. If you add the discount factors, what do you notice? Our three discount factors we get when we calculate the previous annuity are 0.909, 0.826 and 0.751 for years 1, 2 and 3 respectively. If we add the discount factors, we get what is known as the annuity factor. Annuity factor tables can easily be used to save us from having to add the individual discount factors to derive annuity factors. Along the top row of the table are the various discount rates or required rates of returns. Let’s now look at a practical application of annuities. You can find a PDF copy of the annuity tables under the attachments tab. Set up 4 columns, Time, Future Value, Discount Rate and Present value respectively. Time will go form 1 to 10, and the future value is 15,000 each of these 10 years. We need to insert the discount factor formula which reads = 1/(1+$B$1)^(A4). We can now fill this formula down. Finally we can calculate out present value by multiplying the Future Value by the Discount factors. Summing these gives us a present value, or price of the annuity, of $105,354. A constant perpetuity pays the same amount, year after year, forever. What is the present value of a constant perpetuity that pays $10 every year forever? If a bank paid you 10% interest once per year, how much would you have to deposit to earn a constant $10 per year forever? Let’s say we deposit 100 today. -If interest rates are 10% in one year’s time I would have 110. I could withdraw 10, leaving 100. -I leave this 100 in the bank for another year, and at the end of year 2 I would again have 110. -I could withdraw 10, leaving 100 and so on. As a demonstration on the use of a growing perpetuity, put yourself in the position of an analyst trying to value a dividend paying stock. Let’s assume that the price of the stock is equal to the present value of all the future dividends you will receive from the stock. This is a fair assumption to make if you intend to buy and hold the stock for a long period of time. Let’s now assume that the dividend you will receive 1 year from today is $5, but the company’s dividend policy leads you to believe this will grow at a stead rate of 1% per year. Let’s insert these two variables in cells B1 and B2 respectively. Finally, let’s say your required rate of return is 10%. Let’s insert this value into cell B3. This gives us a present value of $55.56. If the stock is trading below this figure, this represents a buying opportunity for us. Click on the attachment link entitled “Prize Draw exercise”. Once you’ve had a go, check your attempt with the attached “Prize Draw solution”.